The Precor AMT 100i is unique in the fact that it customizes a user’s workout using Precor’s User Defined Motion technology. The User Defined Motion technology allows each exercise session to be different from the next. So users can completely alter the motion and paths of their step by the simple push of a button. The AMT100i also incorporates a program called Stride Dial, which allow users to view the various muscles that are being used while they adjust their steps. 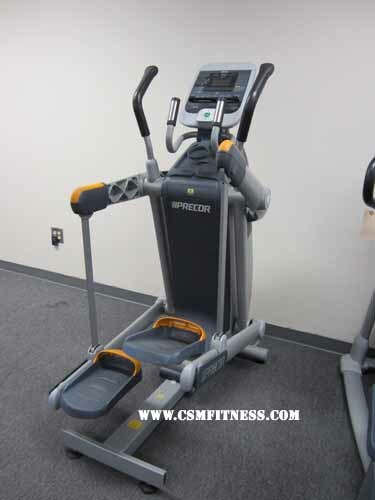 Precor manufactured this machine with touch heart rate, contralateral arm movement, and 20 resistance levels. Additionally, the AMT 100i has an Experience Series Display which includes tap control and it integrates a cardio theater personal viewing screen. The Precor AMT100i challenges any user who desires variety and freedom of movement in their workouts.